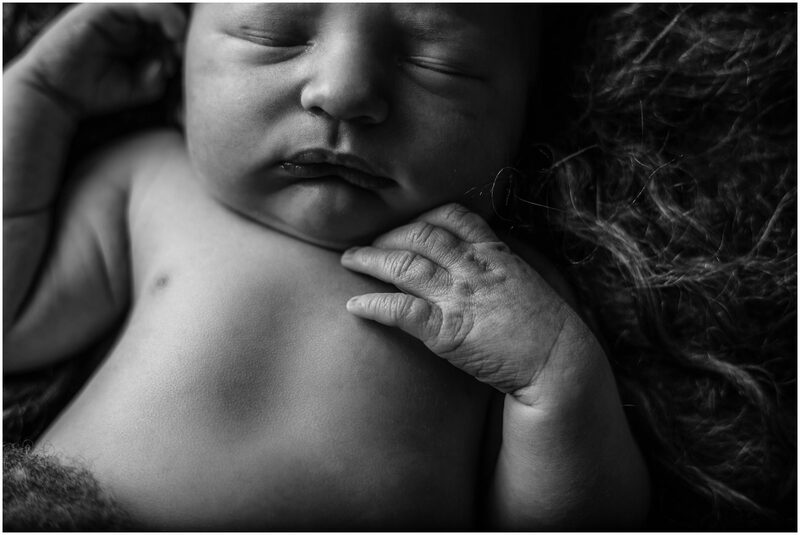 I cannot wait to share this gorgeous Lancashire Newborn Session with you! Charlie’s session was just absolutely perfect, not least because i know his mummy very well but also because he was just 4 days old when he came to see me! I’ve known Charlie’s gorgeous mummy for a couple of years now and Kirsty has become a really close friend, I couldn’t wait for a cuddle with this beautiful little munchkin and he definitely didn’t disappoint! Charlie was born in the water after just a few hours and a very relaxed birth (as far as births go). Charlie has two very proud big sisters, Mia and Chloe so Kirsty had gotten a little practice and seemed to have perfected childbirth this time around! Charlie was 4 days old when he came for his Newborn Session, the ideal age really being around 5-10 days but Charlie was already getting lots of milk whilst breastfeeding and settling well in between feeds so we made the most of his sleepiness and did his session early. 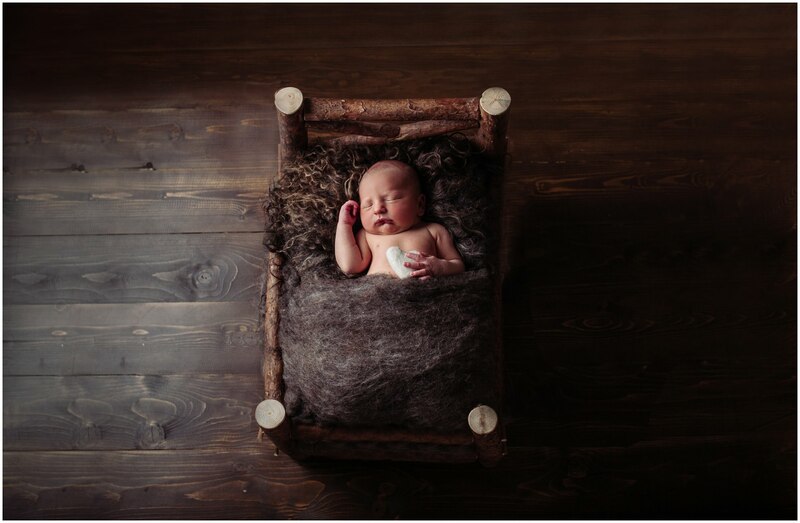 Charlie was the perfect baby and let me pose him on the log bed and vintage apple crate before becoming a little restless just in time for me to swaddle him up in some gorgeous wraps. Once wrapped up Charlie was sleepy again and slept all the way through the parent photos with mum and dad. 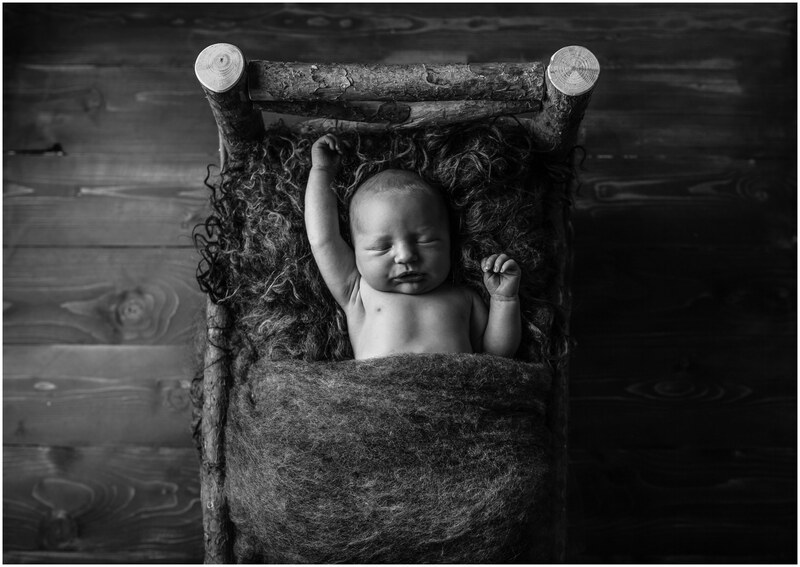 I am a Newborn Baby Photographer based in Lancashire offering sessions at my home studio in Accrington or travelling to you across the whole of Lancashire and Manchester if you prefer a home session. 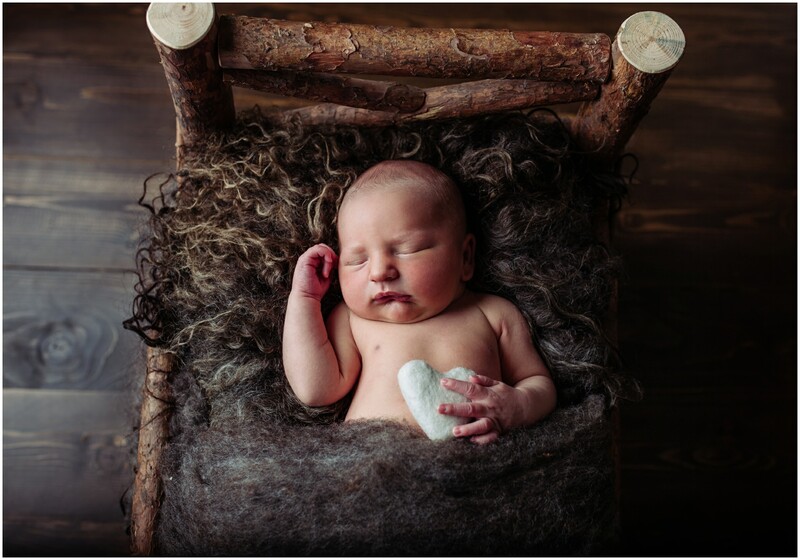 My studio is well equipped with posing aids such as this gorgeous log bed, crates, baskets and a very comfy bean bag with lots of different backgrounds plus outfits/hats/headbands, absolutely everything we’ll need for your newborn baby session. Sessions can be booked any time after your 20 week scan, early booking is advised to make sure i can fit you in during busy periods. For more information on Newborn Baby Sessions head over to the info page.